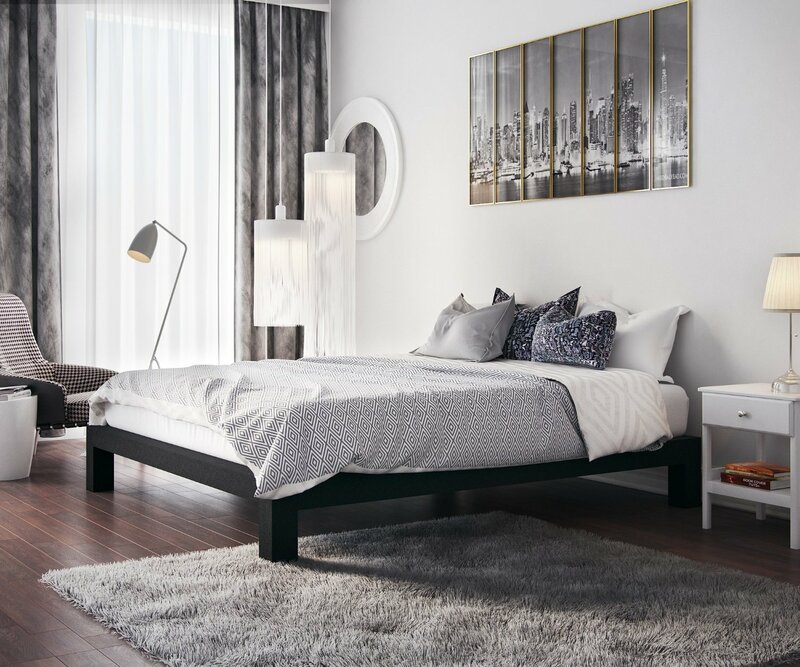 Comfort and convenience are tantamount when it comes to a getting a good night’s sleep, that’s why a bed frame is an essential piece of furniture in any home. Sure, you can sleep with a mattress on the floor; however, having a bed frame is a better choice. In addition, a bed frame looks much better than a mattress on the floor and will increase the longevity of your mattress. Studies reveal that you will spend a minimum of 30% of your life snoozing, which is a lot of time counting sheep! Why not take the time to select the right type of bed frame that suits your needs? There is no doubt that selecting the proper bed frame can be stressful. This is mainly due to the number of bed frame styles available on the market today, and complexities can ensue unless you do your homework. Bed frames add a sense of style to beds, and give more stability. There are many kinds, something for every taste, and they fit around the bed itself, around the often metal structure that holds the mattresses up. Wood and metal are the most common types of bed frames, but other materials can be used as well. There are several factors to take into consideration like the material, size and dimension, room décor, and your budget. Let’s take each consideration individually. This will help you decide which bed frame will suit your needs best. Frames are often built to fit bed sizes, and fortunately there are several standard bed sizes. Some are built for specific frames too. Before purchasing your bed frame, take time to consider the frame size and height. Frame sizes for beds are not standardized. Sizes vary with different countries and manufacturer. This is due to varying standards and phrasing for sizes. Common sizes for bed frame types are single, twin, queen, and king. Each size targets a certain group such as children, one adult, and couples. Hence, the first thing to contemplate is who the bed frame is for. Frame heights for beds also differ. Consequently, it is important to consider the height of the person or persons the frame is for. Purchasing a frame that makes it difficult to get in and out of bed is impractical, even if the style looks good! The ideal frame size is somewhere between 10 and 15cm more than the tallest person or persons using the bed. In addition, the size of the room will make a big difference to what style you should select. If you already have a mattress, put it on the floor to see how comfortable it is to walk around it. This will assist you with choosing the proper bed frame size for your mattress. There are a few choices of materials for bed frames. Wooden frames are probably the most popular, as they give a cozy feel to a room and come in a variety of textures with unique variations. Nonetheless, today there are a host of materials to suit any home décor. Metal is considered a great choice, especially if wood is an issue due to insects such as lice. What’s more, metal is long-lasting, sturdy, and modernistic. Leather (both authentic and faux leather) and brocade are also great choices. If you are into art deco, an acrylic frame might suit your taste. Each bed frame material has its advantages and disadvantages. You must decide which frame works best for you. Taking into consideration the décor of the room you plan to place your new bed frame is also part of making a good choice. Different styles of beds require their own frame. You should determine whether you want your new frame as a focal point or simply as practical support for your mattress. How much do you want to spend? The amount you choose to spend on your new frame will bring many factors into play such as quality, warranty, and style. In most instances leather, will cost the most while metal frames are the least expensive. Consequently, it is crucial to do your homework in advance before making your selection. The most basic type of beds are just bare metal rods that make up the frame, sometimes with wheels for easy movement. However, there are lots of other bed types that are not so basic. Below, we share some of the most common bed types that you’ll find on the market. You now probably have a better idea of the type of bed frame you prefer, or at least a better idea of what type of frame suits your taste. Here is a miniature buying guide to help you along. A divan bed has two parts. This type of frame for beds has two-key sections that link together with a bracket. The bed foundation is designed from wood, about three-feet high, rests directly on the floor, and has a cover that lifts providing generous space for storage. This type of bed and frame is applicative, sturdy, and comfortable. You will find a reasonable amount of designs and styles with numerous storage options and compartments like sliders, zippers, and drawers. In fact, before other bed styles became popular, divan beds were extremely desirable. 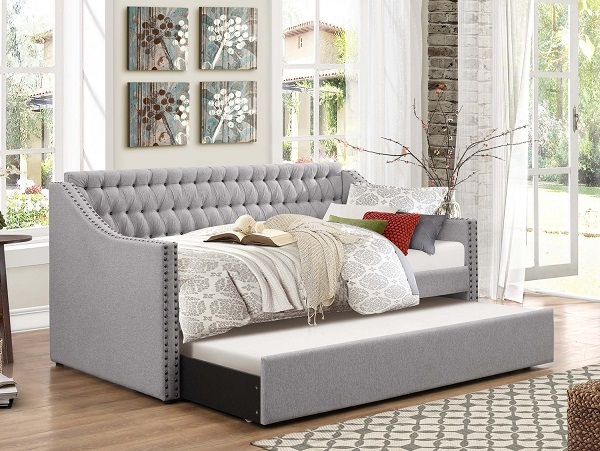 These beds come in many shapes and styles, so there should be one to fit any decor.Keep in mind that most retailers sell the headboard separately. While the Divan is a bed of practicality, the Sleigh bed is more one of style. Sleigh bed frames are long, elegant, and stylish. This type of frame usually has an etched headboard and foot board resembling the contour of a sleigh. These frames are commonly designed from wood; however, you may find designs produced from metal and leather as well. If you are looking for a frame as a focal point, this frame will be an ideal choice. With stunning sleek curves and slender appearance, it’s a change from the normal standard beds you normally see. This type of bed is great for modern and urbane styled bedroom décors. 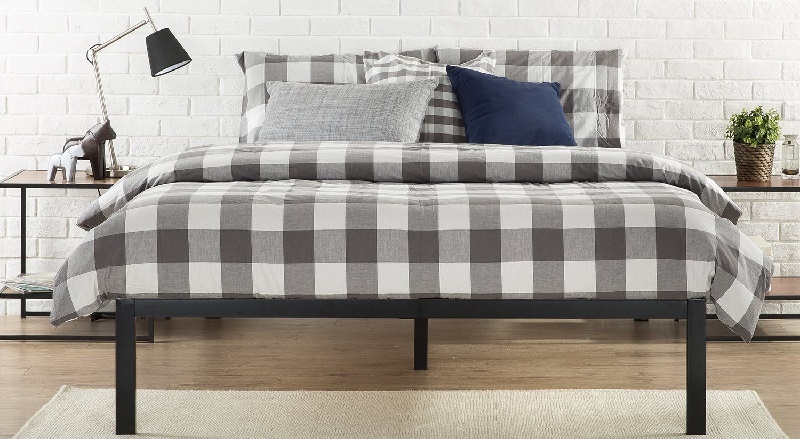 A sofa bed is back to practicality, and is good for multiple uses. It is basically a couch that has a bed folded up inside. During the day it can be a couch, and turned into a bed in the evening. Some sofa beds come with storage areas too, which makes them even more versatile. Usually the beds are twin beds, but come in various sizes. The bed is as wide as the couch in most cases. The Futon is the cousin of the sofa bed of Japanese origin. This has a padded mattress that can be folded up during the day, and the futon becomes something like a couch. Another adjustment in the evening, and bring the mattress back to make a small bed. Bunk beds are another space saving type of bed frame. Bunk beds are comprised of two single or full beds assembled with one on top of the other. There is usually some type of apparatus to assist with climbing to the top bed like a ladder. They are used in children’s rooms and have a lot of other uses as well, such as camps, hostels, military and prisons. There are many styles to choose from for a child’s room. These beds are narrow, for one person. You may take them apart and have two single beds as another option. One variation is to have shelving below with the second bunk being the only bed. These are sometimes called cabin beds, and may be any height. Though two is the traditional number of bunk beds in sequence, you may also find three or four and some with various sized mattresses. Because this type of bed is uniquely designed to accommodate two or more people, it’s ideal for families and many times you will find them in hostels, camps, and army barracks as well. There are practical reasons for buying bunk beds as they can save space in a room leaving room for other furniture pieces like drawers and lamps. Of course, this type of bed is great for a kid’s bedroom, as they come with fantastic fun features and great styles. This bed type can be found in several materials like wood and metal. Four-poster beds are classic designed beds with antique overtones. This bed frame is normally constructed from quality wood and adorned with intriguing ornate designs. However, today you can find this style of bed made from metal as well. The frame of the bed consists of four protracted poles connected to the bed frame on each corner. You can also find some four-poster beds with an upper-shade that acts as an intimate shelter. 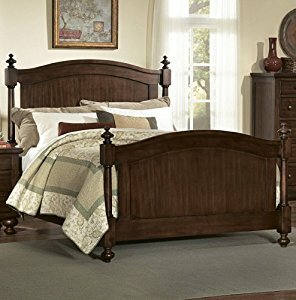 This bed style is great for bedrooms with an antique or romantic décor. Depending on the style, four-poster beds can take on an art deco or baroque appeal as well. The adaptations are unlimited. Four poster beds are stylish, antique type beds of long ago, but they are still popular. These were originally designed to support an upper shade, but often now they do not. Four poster beds are often made of expensive wood, and carved ornately. A canopy bed is very similar to a four poster bed. The biggest difference is the canopy. The four posters support a frame that has a canopy build around it, and it can cover all four sides of the bed. These beds are normally large, and so more for bigger houses. Canopy beds are also antique in nature and fit that type of decor. This style of bed has four additional long posts on each corner of the bed frame. The posts are then joined at the top in whatever way is practical for the design, so that the canopy material drapes around the frame and the entire bed. The effect is like pleated curtains cloaked from a tall window. The look is very stylish, sophisticated, and a great focal point. What’s more, this bed frame style is romantic and cozy. If it’s set up the right way, it may even keep insects at bay! There are plenty of fun materials available like chiffon, mesh, silk, and nylon, or whatever suits your fancy. Almost any fabric will work if it flows. Canopy beds are widely used in antediluvian films; however, they are seldom found in traditional dwellings, as they are usually large and not very practical. Canopy beds are more like a show piece. You will need plenty of space if you want to show it off properly. In addition, this type of bed is not a match for more modernistic designed homes. A half tester is similar to a four poster and a canopy bed. They are lower to the ground. These frames also have a small canopy that covers only the top of the bed. They are not as popular as they were a couple hundred years ago, but the do look very stylish. 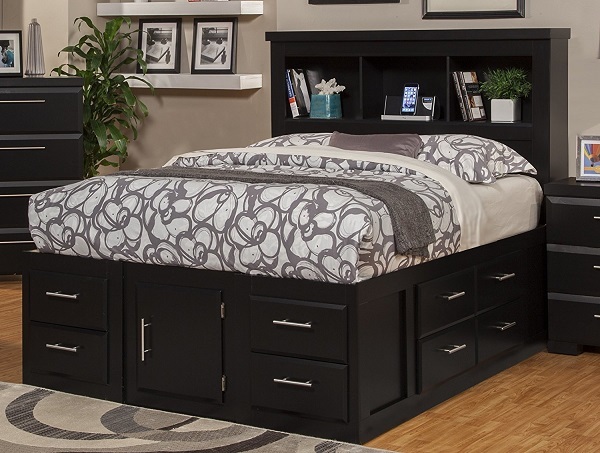 A trundle bed is another space saver, and has a bed within a bed type design. The smaller second bed is under the main bed, and may be slid out for a second bed beside the main one. They can also be separated completely if you desire. Platform beds are close to the ground, and may not be comfortable for individuals who are physically challenged such as older people or individuals with physical disabilities. The bed is constructed without a box spring and is a fine economical choice. The style of the bed frame is modern and stylish. A platform bed has a base of wood, and gives smooth support for the mattress. The foundation is designed with wooden slats to reinforce the mattress. The style is usually simple; however, that’s what makes this style of bed a classic that will be around for years to come. 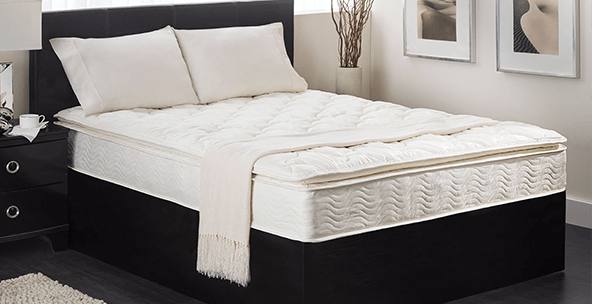 What’s more, platform bed designs help to aerate the mattress getting rid of disagreeable smells, they are not too heavy, and they are easier to move around. They make a simple design and are popular in modern homes. Some platform beds also include storage compartments. These are similar to sofa beds, with a mattress and a frame on three sides. They can be a couch when needed, or a bed for day or night use. They can also be used as a recliner. A cabin bed or storage bed has cabins or drawers’ underneath for storage, which is much different from a bunk bed. It’s ideal for saving space and usually comes in twin or full sizes. It’s a cool bed for young kids and teens. Storage beds are similar to a divan. The biggest difference is the entire mattress can be raised to show a storage space below. The bed is on a box like structure, and below the mattress is the storage area. This bed is great for a college student as it has plenty of cabin space for books and other objects for studying. You will find plenty of sizes, styles, and colors in this bed type. 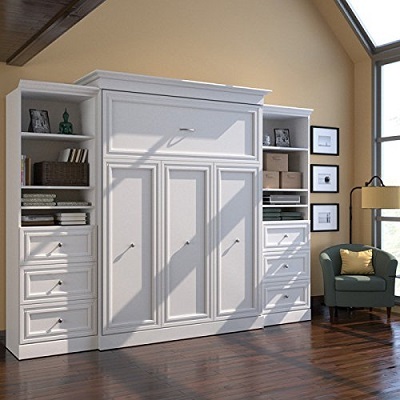 Murphy beds are another type bed that can save a lot of space. These beds can be folded up easily in a vertical position, and even put in a closet or other out of the way place. Some also have storage drawers that may be used in the vertical position, as well as when in use as a bed in the horizontal position. The name of this bed speaks for itself. 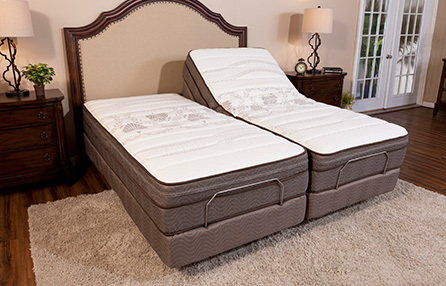 Adjustable beds can be adjusted or modified to varying positions to provide sturdy support for your body. This type of bed frame is quite popular, easy to relocate, and economical. The design includes metal foundations on caster wheels; however, after the box springs and mattress are attached to the frame, these become camouflaged. The adjustable bed is common in nursing homes and hospitals. However, you will still find this style of bed in regular homes, especially where individuals require special physical support due to a medical condition. If you frequently have backaches and pains, muscle aches, leg cramps, etc., this bed can help to alleviate pain and stress by shifting your body’s position as needed. In some instances, people find adjustable beds convenient for watching TV or reading. Before buying your bed frame, make sure you take the time to consider where the frame will be placed inside your home and how much space is available. A frame can be a large and expensive purchase. You don’t want to bother with unnecessary returns along with all the stress that goes along with it, so choose wisely! In addition, be sure to consider the furniture you already have and how your new bed frame will fit in. After you’ve considered these things along with how much you want to spend, you will make the buying process simpler and thus, more satisfied with your choice.